When I first switched over to a healthy plant-based lifestyle back in 2013, one thing that I really missed was CHEESE. Cheese for pizza, tacos, lasagna, and so much more. 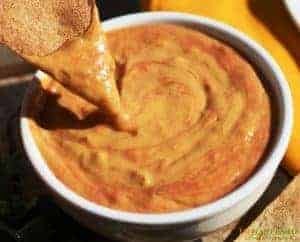 That’s why I came up with my Creamy Vegan Cheese Sauce Recipe a few years ago and now this vegan sweet potato cheese sauce that is diabetes-friendly. 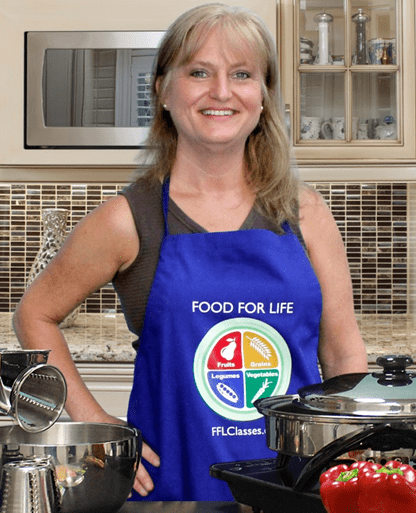 As a Food for Life instructor with Physicians Committee for Responsible Medicine, I teach plant-based nutrition education and cooking classes to many people with diabetes every single week. Other Physicians Committee series like KickStart Your Health and the Cancer Project are great settings for me to bring in samples of my regular Creamy Vegan Cheese Sauce for class participants to try out. 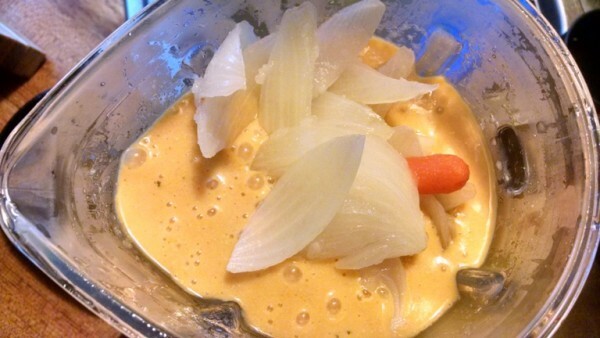 It’s made with white potatoes, onions, carrots, nutritional yeast, and spices. Because the white potatoes used are high on the glycemic index, it’s not a great option for students in the diabetes classes. That really didn’t seem fair, because the original vegan cheese recipe is SO good! I felt those with diabetes needed a cheese replacement option as well, especially on pasta. Yes, believe it or not, pasta is lower on the glycemic index. 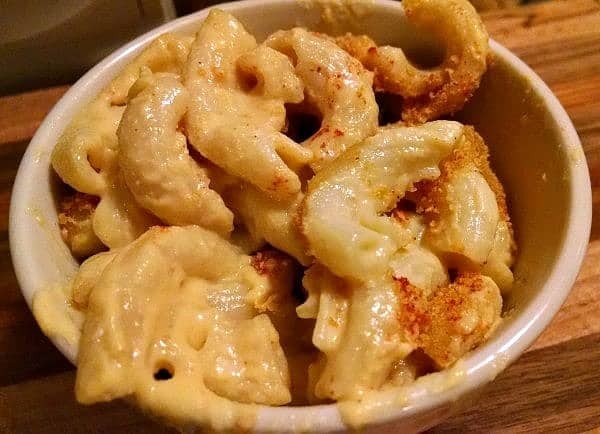 Creamy Mac and Cheese. Click photo to view recipe. 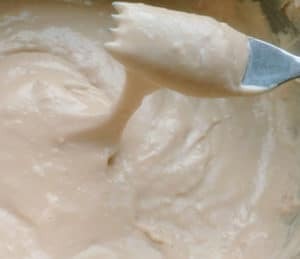 That’s what prompted me to come up with this Sweet Potato Vegan ‘Cheese’ recipe that is diabetes-friendly, because it’s made with sweet potatoes instead of white potatoes. 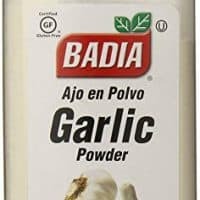 After tinkering in my kitchen and switching out nothing but the potatoes, I came up with this amazing version that is so good most people would never even know the difference between it and the original version. Sweet potatoes are loaded with fiber and antioxidants. 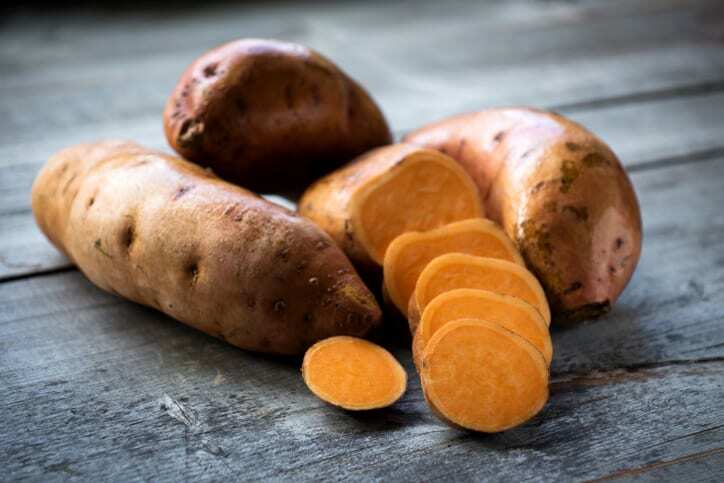 A medium sweet potato contains 4 grams, or 24 percent of the recommended daily allowance of fiber. A sweet potato is rich in vitamin A as beta-carotene and vitamin C.
This diabetes-friendly version of my cheese sauce is delicious and can be used on steamed broccoli, pizza, tacos, lasagna, and so much more! 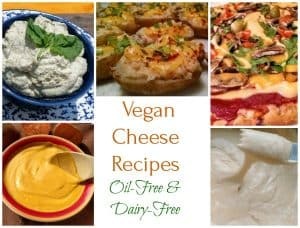 There are so many different types of vegan cheese sauce. Each one has its own merits and can be used in different recipes. For instance, we love this cheddar flavor cheese sauce, as well as Sweet Potato Sauce mixed with salsa and on Nachos. 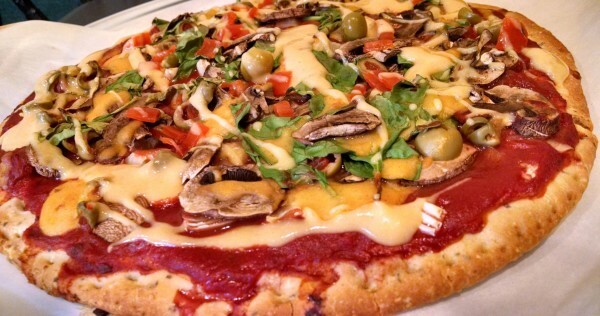 The Mozzarella Cashew Cheese has become our favorite for Vegan Pizza and French Onion Soup. 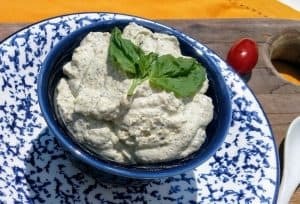 Vegan Ricotta Cheese is perfect to serve on crackers or crusty bread chunks, as well as in Spinach Black Bean Lasagna. 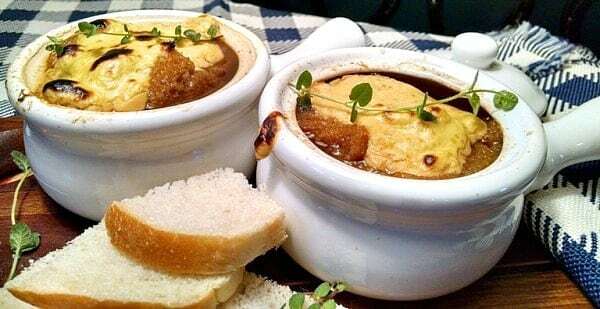 Vegan French Onion Soup. Click photo to view recipe. When I first switched over to a healthy plant-based lifestyle, one thing that I really missed was CHEESE. Cheese for pizza, tacos, baked potatoes, lasagna, and so much more. 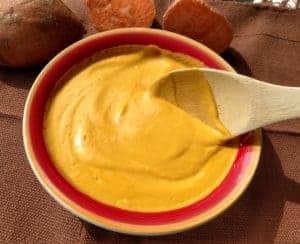 That’s why I came up with my regular cheese sauce a few years ago and now this Vegan Sweet Potato Cheese Sauce recipe that is diabetes-friendly. 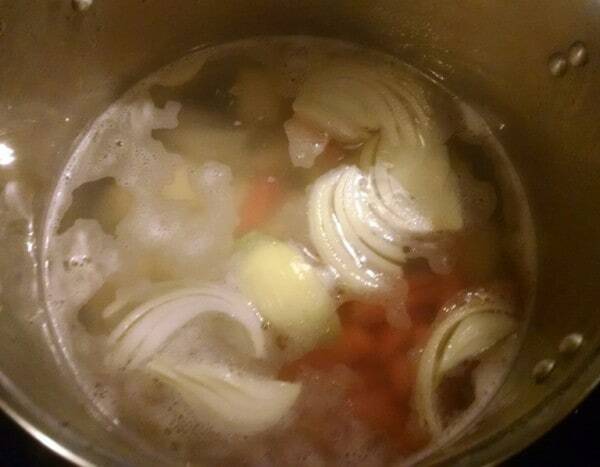 In medium pot, bring about 3 cups of water to a boil. 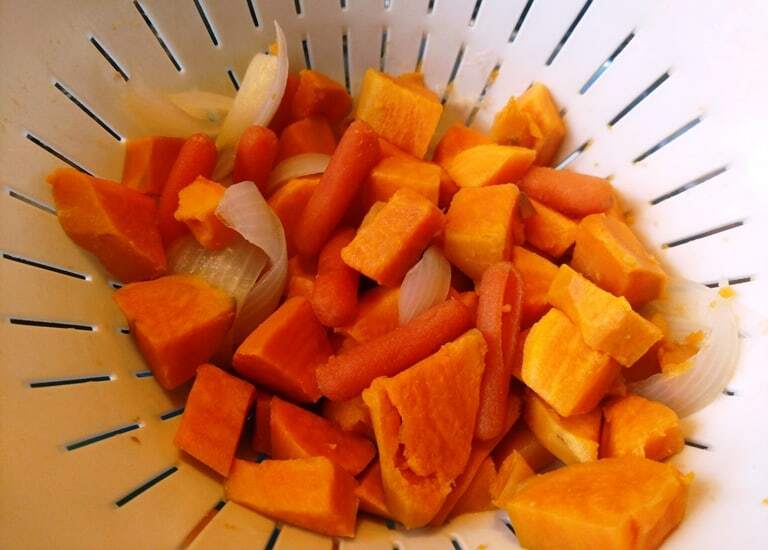 Place sweet potatoes, carrots, and onion in pot and allow to cook until veggies are tender, approximately 15 minutes. Cooking time will vary based on how small the veggies are diced. When veggies are tender, drain in a colander. Remember to keep some of the broth for blending. Place them in blender. NOTE: reserve 1 cup of the broth, and add to blender. Add all the remaining ingredients, and blend until smooth. It makes approximately 1 quart and can be stored in the refrigerator up to 2 weeks. 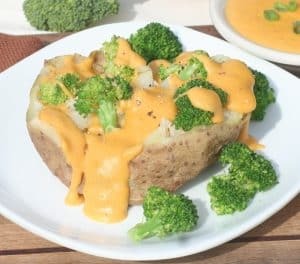 Although diabetes is not a concern for me in particular, I love the idea of using sweet potatoes as a base for a sauce (one of my favorite ways to do plant based cheese sauces is the potato-carrot-onion route, so I’m already a fan!) I’m going to try this using half cashews and half white beans, and also add a tablespoon or so of mellow white miso for some added ‘funk’. Thank you for a lovely recipe, will definitely try it! I recently came to learn with great disappointment that nutritional yeast is basically outright MSG (Medical Medium Anthony William) and so now use Himalayan salt to season instead. One thing I really missed since switching to a whole food plant based diet was mac and cheese. This amazing recipe solved that problem. It’s absolutely delicious. Love the original “cheese” sauce: this one is even better. I always use white kidney beans. This stuff is good so many different ways. 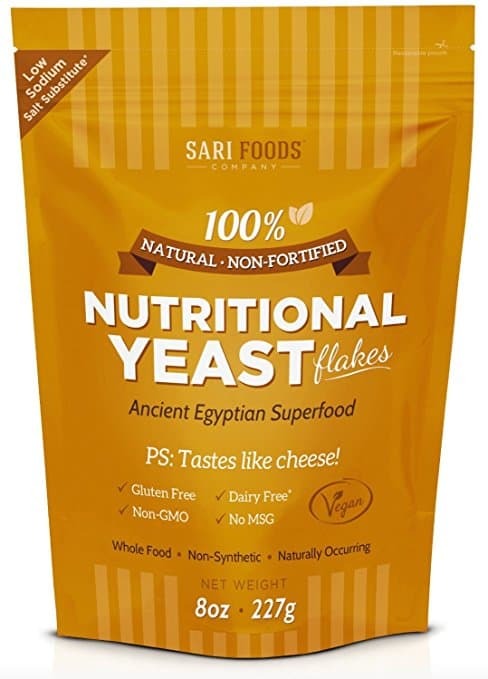 FYI, I just learned recently that nutritional yeast should not be refrigerated, used to put mine in the freezer. The funky smell that it has was exacerbated by refrigerating it. Now I just keep my yeast in an air tight containet in my cupboard. That’s great! One of the registered dietitians in a hospital where I teach said she likes the sweet potato version even better than the original too. I’m still trying to make up my mind about which one I like best. So hard to decide! Thanks so much for letting me know how much you like this one. 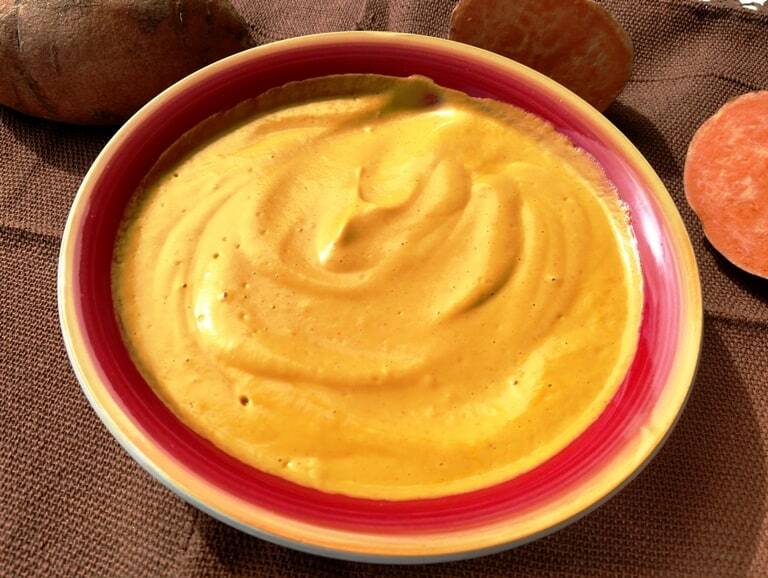 Would this sweet potato vegan cheese sauce work well with your Hash Brown Breakfast Casserole? Oh yes, indeed! It’s fabulous with the Hash Brown Casserole. I just made this… omg… where have you been all my life! !